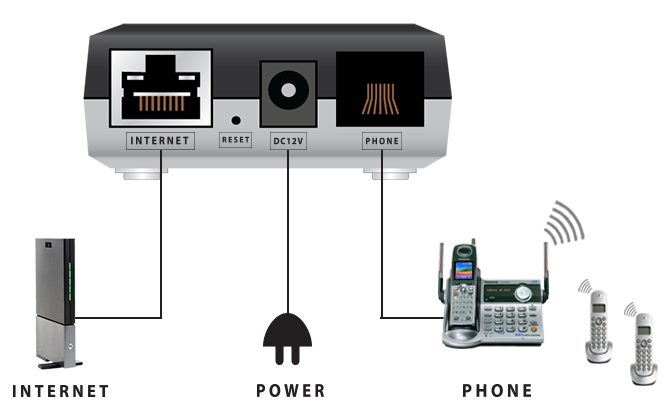 (a) Connect the device with your Internet modem using the Internet cable (Fig 1). 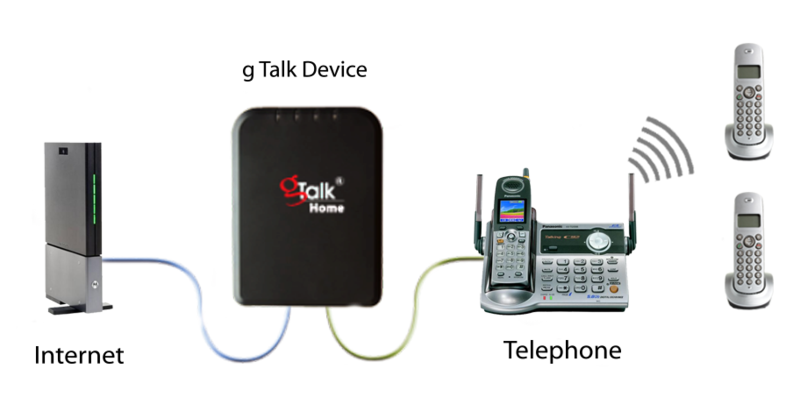 (b) Connect your existing home phone set (base set) to the device using the phone cable (Fig 1). 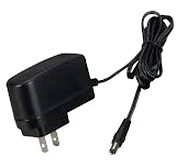 (c) Power up the device (Fig 1). Wait until you hear the dial tone.